Several weeks ago I began exploring safety as an outcome, as the product of well-managed business systems and not something that needs to be managed as its own element. The business systems I identified were: competency, process capability, hazard and risk management, accountability systems, and engagement. In subsequent articles I explored competency, process capability, hazard and risk management, and today I sat down to the keyboard intending to write about one of my favorite accountability topics, Just Culture. But as I ruminated on the topic I realized that what I really wanted to say transcends Just Culture. For the uninitiated, Just Culture is a management philosophy designed to hold people appropriately accountable. According to one of the current thought leaders in Just Culture, (and author of the book Whack A Mole) there are three basic kinds of behavior: human error, at risk behavior, and recklessness (I became a certified Just Culture practitioner by studying under David Marx, and you can argue that carelessness is also a behavior, but David will argue longer until you give up and just accept these three. Trust me David is a lawyer and he is one hell of an arguer.) So in begrudging deference to David, I stick to three. The larger message of Just Culture is that blame is a counterproductive and useless exercise that feels good but doesn’t really accomplish much except to piss off the people being blamed and make them defensive. If we take a look at the three behaviors, only recklessness deserves blame and shame. Someone, I honestly don’t know who, said, “error plus blame equals criminality” and that is the reason that Just Culture and a blame free response to foul ups is so important. Just Culture gained real traction in industries where blame was so pervasive that people would conceal their mistakes and hope for the best—no such a bad thing if you are painting a barn, but if you are administering medical treatments or flying an airplane the smallest oops can have dire consequences. If a nurse knows, for example, that she (and sorry for sounding sexist but nursing is still predominantly female and besides it’s my example so if I want to make it a female nurse or a hermaphroditic orangutan that’s my business, if it upsets you tell your therapist) has accidentally given the wrong medication to a patient and if she admits her mistake she will be fired, there is a good chance that she will at least be tempted to say nothing. (The orangutan isn’t going to say anything either but hey, someone should have thought twice before putting it in charge of administering meds). In high consequence industries where the tiniest mistake can kill people blame conceals the errors. But I digress, as I said, I didn’t want this to be yet another column about Just Culture. It just strikes me as odd that we as a profession continue to extoll the virtues of a blame-free workplace and the wonderful opportunity we have to learn about the causes of injuries while promulgating blame-based systems out of the other side of our mouths. A friend of mine is a columnist who is an outspoken critic of BBS. One of his chief criticism is that BBS systems tend to blame the worker. The BBS fanatics all try to shout him down (good luck, the guy cut his teeth at Dow, is a PhD with actual work experience, and literally has forgotten more about safety than most people (including and perhaps especially me) will ever know) but he is right: Behavior Based Safety tends to lead to a climate of blame and shame. Oh, to be sure the purveyors of snake oil will assure you that THEIR brand doesn’t blame the worker, but I have found that these systems, whatever their intent, lead to a climate of blame. If the intent is not to blame workers, when one begins with the assumption that the incident is the result of behavior on the part of someone, and in most cases that someone is the injured worker, it is impossible for the injured party to feel culpable. Even something as simple as behavioral observations can create a climate of blame. Whenever someone stands in judgment of us it is only natural to feel defensive. But my intent is not to create another angry argument for or against BBS, because quite frankly there is a whole new trend toward blame-based safety, which holds that leaders are to blame for injuries. In there acts and decisions, in what they done and what they have failed to do. While there is no small benefit in drawing leadership’s attention to the role they play in worker safety, the time for accountability is before people get hurt. I have said many times that everyone plays a role in safety, but too often we only hold people after someone has been harmed or property has been damaged. People need to be answerable for ensuring the workplace is free of hazards, for the decisions they make, and for managing one’s performance inhibitors (the things in one’s life that make human error and unnecessary risk-taking more common like stress, lack of sleep, drug or alcohol use, etc.). Blame remains a pointless exercise because once we have determined who’s at fault there is no reason to look further (it’s the same reason your lost car keys are always the last place you look.) That’s not to say that people shouldn’t be held accountable, but people need to be held accountable for their actions irrespective of the outcome. This is a basic tenant of Just Culture that the extent to which one is accountable is independent from the outcome. Actions taken and decisions made in good faith are not punished no matter the outcome and recklessness is subject to discipline even if no harm occurred as a result. It’s a bitter pill for some to swallow, but swallow it they must. Good topic and read… as a cynic and from my experience, I can say there is no such this as “just cultures”. These “just cultures” have just been lucky enough to not have killed anyone yet, or they under report incidents. Most just culture leaders lay blame onto the worker or engineering etc to avoid their accountability. I think blame is to easy to give out as human nature dictates that nothing is our fault…finger pointing kids after a bad thing done proves my point (they did not learn to blame others, it a natural thing humans do, same as lying). I think true retrospective blame can only really be given after full unbiased truthful investigation and or after a legal case. I think blame is supposed to promote a change, not promote nothing to happen. Blaming me for making someone do an unsafe thing should make me improve. In a foresight point of view, I blame management for not being proactive in safety (not fixing a known risk), but instead of managers accepting my projected blame, they ignore my concerns (which is why I blamed them in the first place). I think you and I are using the term “Just Culture” in different ways. James Reason, in the early 1970s postulated that before an organization could truly be safe it must cycle through various cultures one of which was a “safety culture” which has been hijacked by safety professionals to mean something he never intended. He was talking about a culture where people feel safe to state their minds, feel reasonably secure in their job, and in general aren’t feeling threatened. Reason believed that only when a company created a Just Culture before it could achieve a Safety Culture. Just Culture seeks to drive out blame and fear in the incident reporting process. It is so difficult to drive out the very human drive to blame that both James Reason and David Marx have created copyrighted “algorithms” that supervisors follow to determine whether or not punishment is warranted. But Just Culture is a corporate governance system, not a safety system, although accountability at an enterprise level would include safety. I agree that leaders bear the responsibility for ensuring the safety of the workplace. Placing accountability on people for things they cannot control is unjust. Yeap, that is why I don’t believe in such a just term as “just culture” in todays workplaces period (I just have not seen it anyway), because people don’t feel safe to state their minds, they don’t feel reasonably secure in their job, and in general feel threatened for raising any issue. The reason why we do not have a just culture is because of these things. If we cannot pass these topics, then the complete just culture can never be reached. Blame has been made a bad thing/word, but really, is there another phrase to use to ensure action is taken?. I have tried to think of another word, but every word ends up (or could end up) being like the word blame “a negative term” because all “accountability” (yes even this word over time sounds bad) is a request to fix something that is wrong or needing improvement, and there in lies the issue; the human distaste for being wronged and corrected. 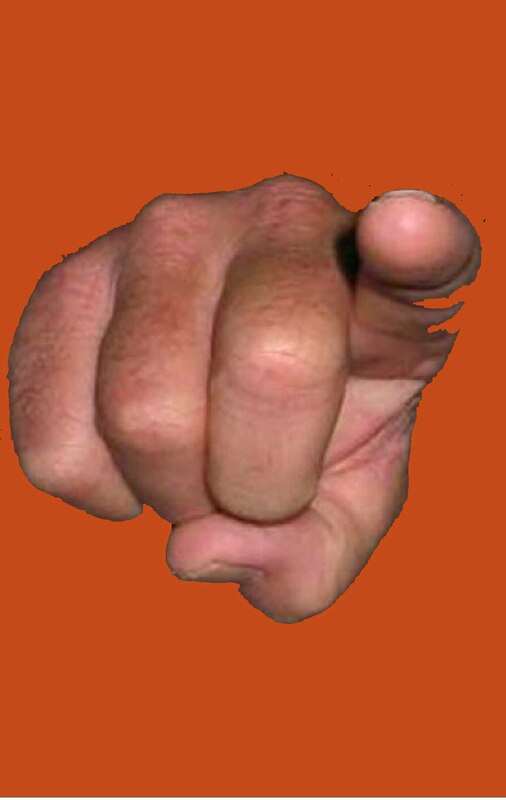 Maybe it is the use of the phrase; Blame and Shame!… these two words together have really made the issue of blame a negative term, because people automatically attribute shame with blame. I would use “blame and shame” in the same phrase to describe a institution who sexually abused children in their care and who tried to cover it up. I could be a man and say “I accept the blame and take full responsibility” for a honest mistake, but does the term shame fit into this ownership of blame if the mistake was not intentional? Maybe its time to get away from attributing shame with blame as this truly has no value. A person should feel proud to have resolved an issue after blame was given. Maybe we shame ourselves into thinking that taking on blame is a bad thing. To claim that we need to get out of the blame and shame game is like claiming we need to get out of the inhaling and exhaling game. Neither is possible and still survive. I must admit that i am not intelligent enough to think we can get out of either of these games. Perhaps we have pursued intelligence at the expense of wisdom and thus we find ourselves pursuing one snake oil remedy after another. And there is my point. If we look back as far as possible we see that blame and shame followed inhaling and exhaling. Adam blamed Eve and she blamed the snake and shame was realized. And so it goes. One might say, and this one is saying, the first safety violation happened in the garden and there in the garden is the answer to prevention….follow the rule or pay the consequences. The snake (oil) was as present in the garden then as it is in business today and that snake is always looking to help shift blame.